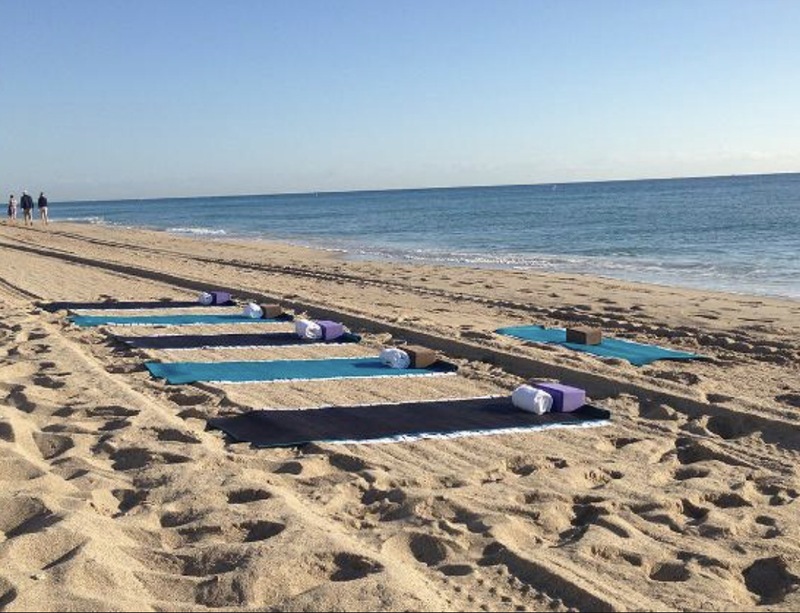 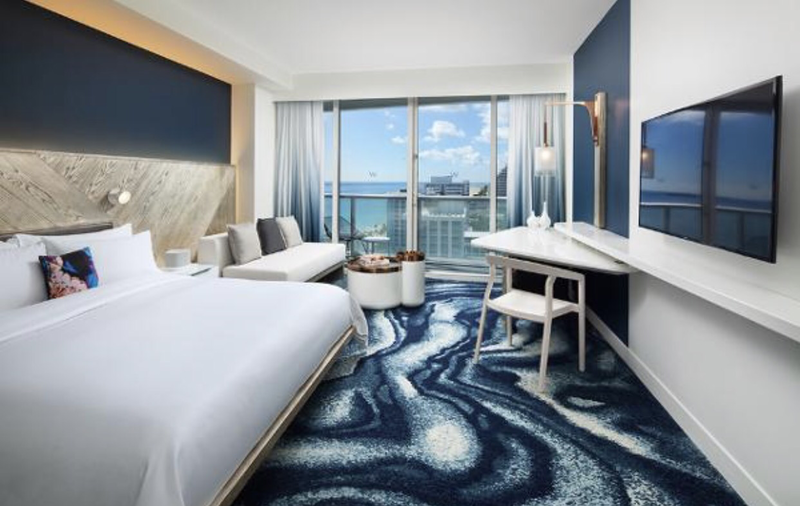 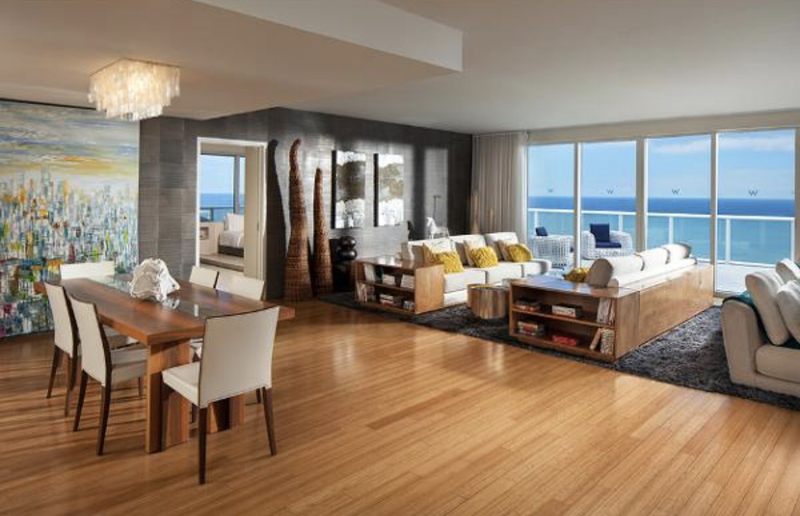 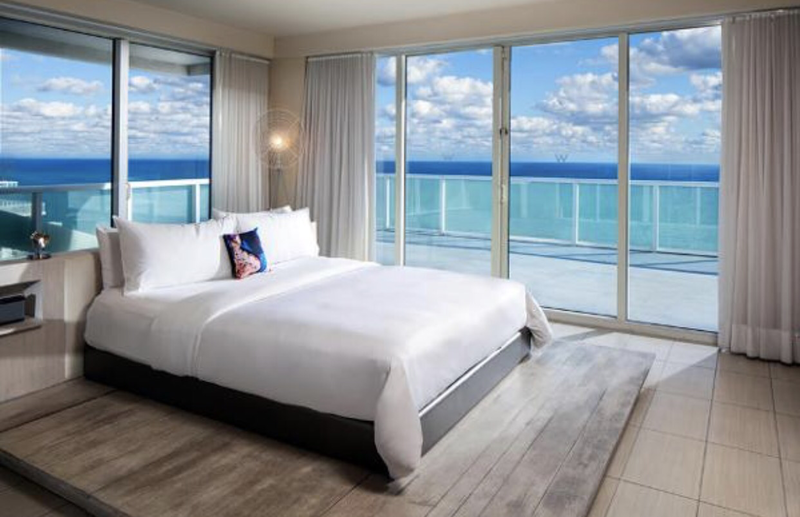 Not one part of the W Fort Lauderdale was overlooked during the hotel’s recent $55 million revamp, which is nearing completion. 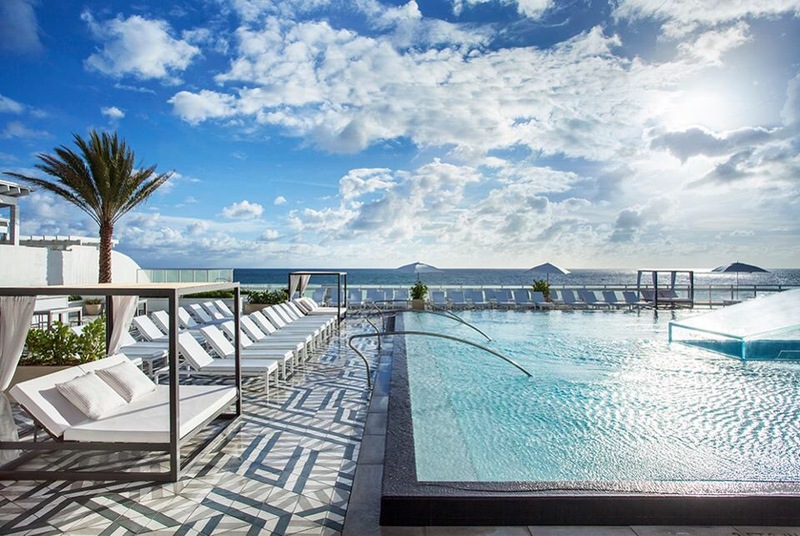 With renovations touching all 517 guest rooms, suites, and residences, as well as the grand porte cochère, the hotel’s Bliss Spa, rooftop WET pool deck and the hotel’s impressive 40,000 square feet of meeting spaces, the hotel, the largest W Hotel in Florida and a SPG Category 5 hotel, has certainly reestablished why it’s one of the coolest hotels to see and seen in South Florida with this renovation. 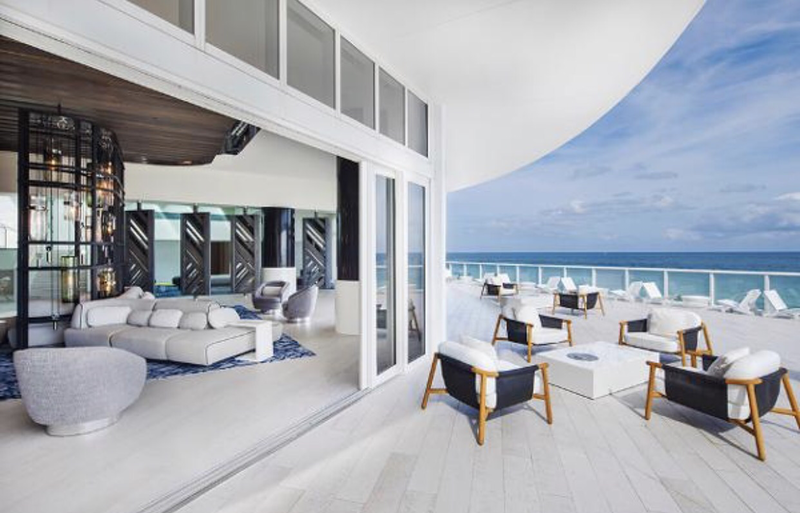 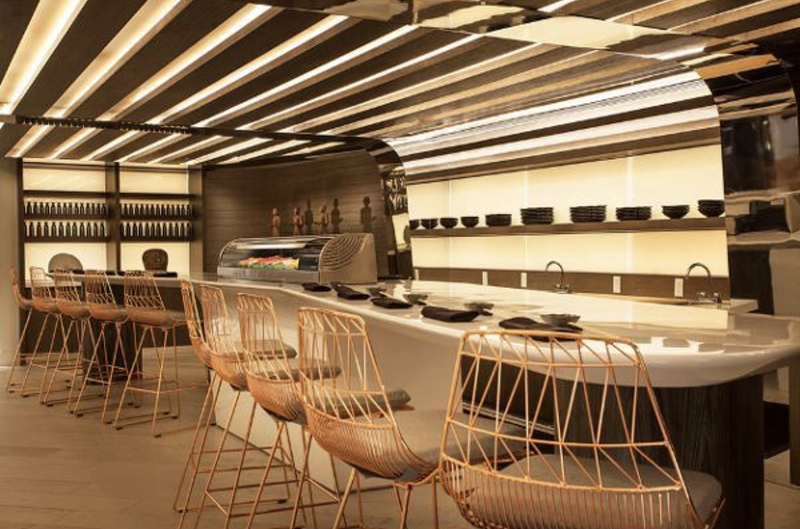 With the W Brand’s global design team overseeing the renovation, the rehaul was done in conjunction with award-winning interior designer, Meyer Davis Studio. 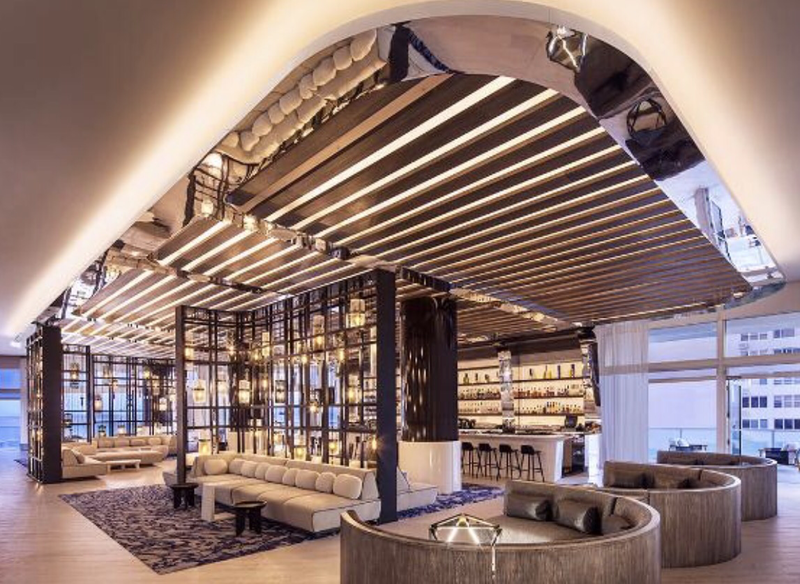 Meyer Davis Studio, if you’re unfamiliar with them, they’re the design studio that’s also behind the Le Méridien New Orleans transformation, the 1 Hotel South Beach opening and The Nolitan in New York City, among many other remarkable projects.